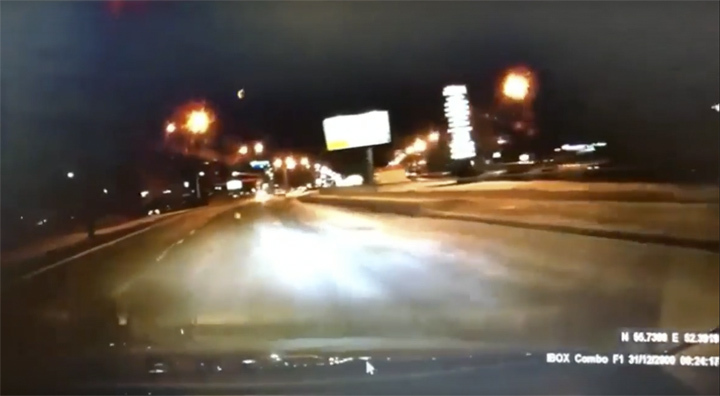 Was that another huge Chelyabinsk meteorite? 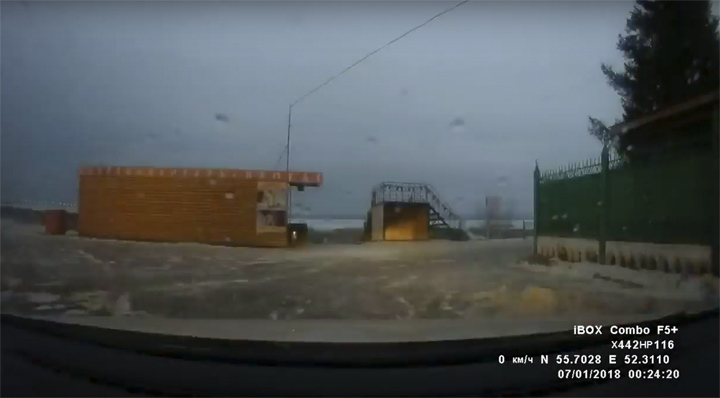 A very bright bolide changed night into day while disintegrating in loud rattling booms especially in the three Russian republics of Bashkortostan, Udmurtia, and Tatarstanin on Orthodox Christmas Day, January 7, 2018. The deep blue flash was reported over thousands of kilometers but scientists disagree over the cause. according to some accounts, the earth moved too. Experts insist the phenomenon was not manmade: there were no reports of missile tests or explosions. But there were also no reports of meteorites striking the earth. Something massive has happened – but what? 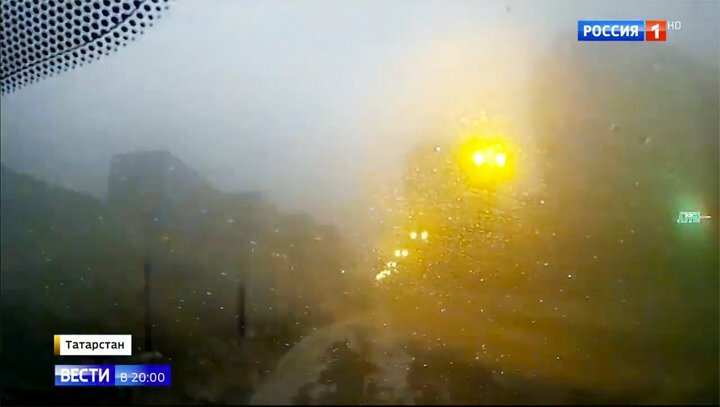 Mysterious flash of light turns night into day over thousands of kilometers in Russia on January 7, 2018. Source remains undefined. Yuri Nefefyev, director of the Engelhardt Astronomical Observatory, thinks the blue phenomenon is linked to atmospheric electricity, explaining it is something that has not been explained by science yet, because of how rarely they occur. 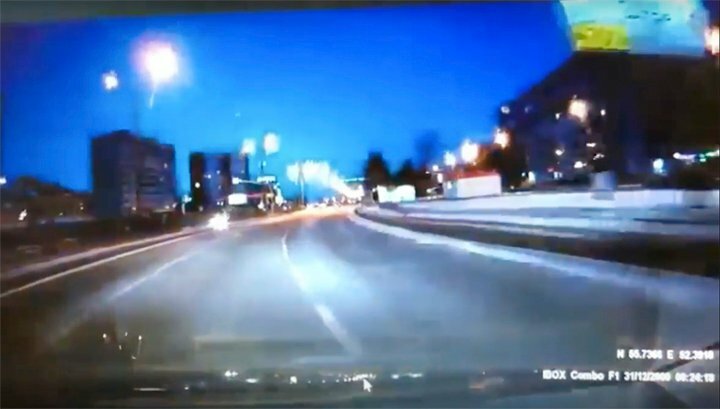 The mysterious blue flash over Russia was accompanied by loud rattling booms on January 7, 2018. 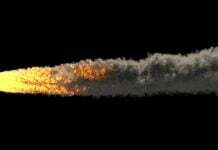 Before after picture of bright bolide exploding over Russia on January 7, 2018. 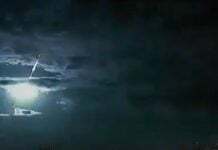 Other scientists claimed the bright light flash was refracting from low clouds, others said that it was a dry thunderstorm. Astronomers from Kazan Federal University insisted there was a space link. 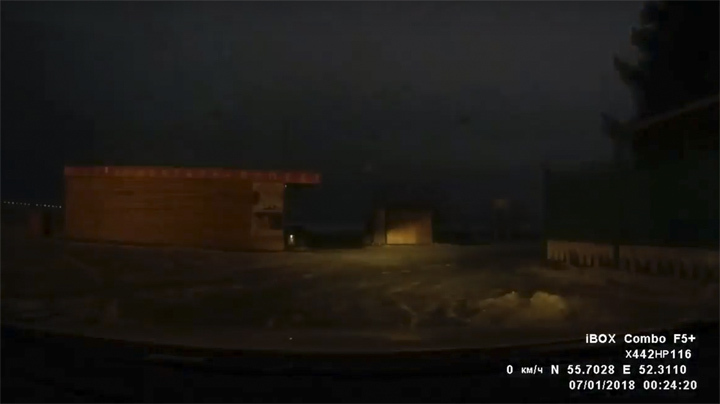 The flash was reported over thousands of kilometres but scientists disagree over the cause of the mysterious light over Russia on the night of Orthodox Christmas Day. 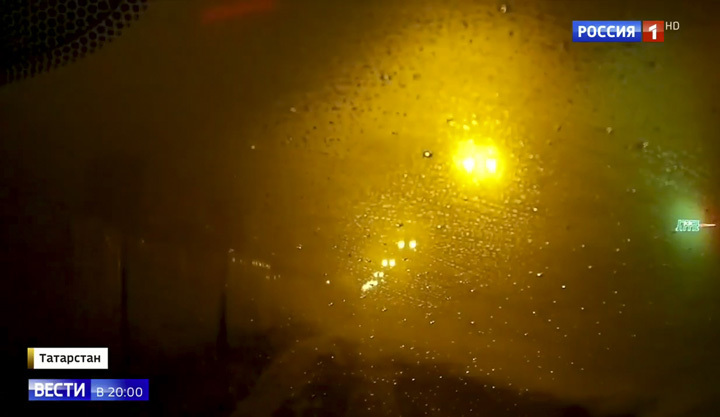 Before after picture of the rattling blue flash felt over large area in Russia. 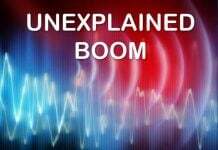 So what was this bright flash accompanied by a loud boom flying in the sky over Russia? A huge meteor, a rocket from space, UFO, a North Korean missile? Spookily, similar phenomena were reported last year in Kazan, several years ago in Karelia, and 2006 in Moscow. This was a large metallic (Meteorite) stone (releasing a lot of light when burned) of many meters in length burning as it enters (Disintegrating) in the terrestrial atmosphere.